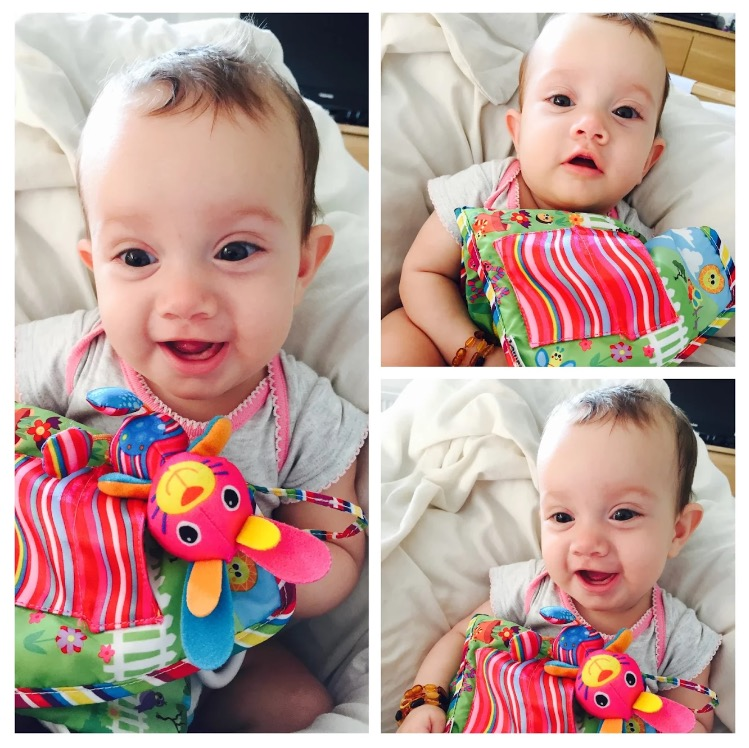 Amber Lily was born at Lister Hospital in October 2014 by emergency induction after a difficult pregnancy. She was at 32weeks gestation when the induction began and born the following morning at 32+1. Amber Lily cried immediately and could breathe independently but was put on CPAP to err on the side of caution and provide additional oxygen for a few hours. She weighed 4lbs 4.5oz at birth. 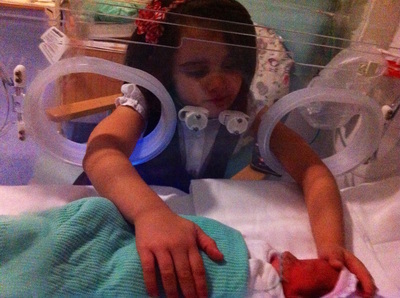 Her induction was prompted three days after mum's waters had broken as both mum and baby showed signs of infection. Mum had first been hospitalized for onset of labour at 24 weeks so managing to prolong delivery for an additional 8wks was a blessing. After birth both were treated intravenously for infection but Amber's infection markers were high, high enough to require a lumbar puncture to rule out meningitis. Luckily after a failed attempt, the second lumber puncture was successful and resulted negative. She was moved from Intensive Care to SCBU after two days and was soon moved into a heated cot. Unfortunately she could not yet regulate her own body temperature so she was returned to an incubator. She received mum's milk via her gastric tube but made attempts to nurse from early on. 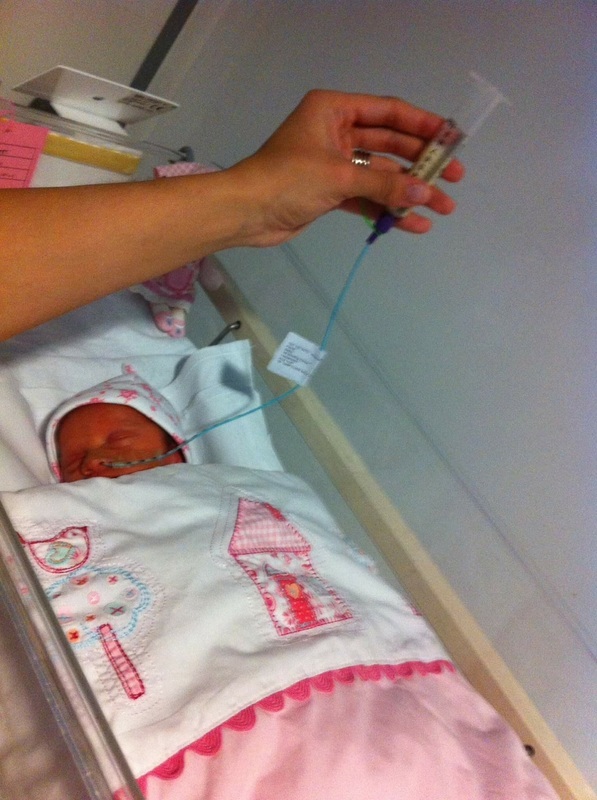 After a week in SCBU Amber Lily began to nurse before scheduled tube feeds. Mum came in to handle all of her changing, ph testing, and feeding during the day. The nurses and staff provided invaluable support to make sure mum felt she was doing all she could. Amber's sisters came to visit her as often as they could, read to her and sang to her as well. Soon Amber Lily could regulate her own body temperature and was able to room in with mum. 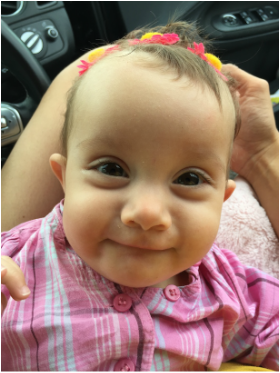 In just under two weeks from delivery, Amber was ready to go home. Our little trooper is now 8 months old and still thriving. She is our little miracle and we cannot thank all of the lovely staff of the Lister neonatal unit enough for all of the care and support they provided for not just her but our entire family. They were there for Amber Lily when we could not be and did everything in their power to help us feel useful.